Washington - The United States journal New York Times has revealed that the U.S. government has been constantly lying in public to gets its support in its 17-Years War in Afghanistan. According to the report, the research of New York Times and the U.S government expenditure on Global Advertising shows that Washington does not want to tell its people the truth about Afghanistan's current situation. The US government claims that 44 Percent of Afghanistan's territory is under Taliban control meanwhile the report of New York Times reveals that the Taliban fighters are controlling 61 Percent of the territory of Afghanistan with having full influence on public and on all Social/Economic sectors. 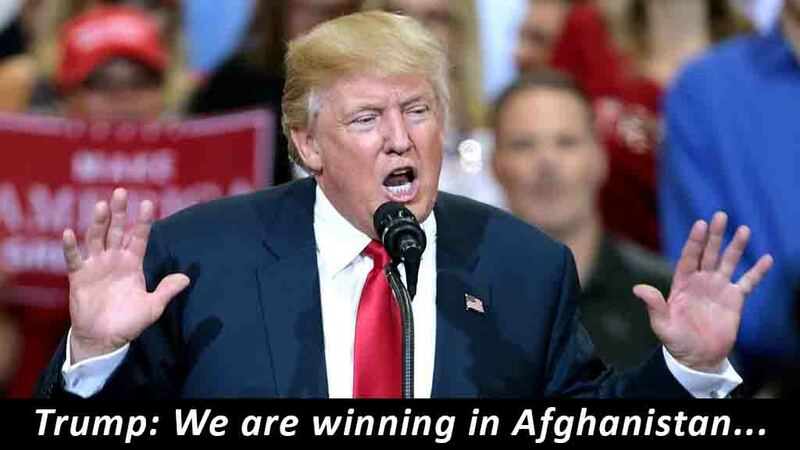 It's a fact that after U.S forces arrival in Afghanistan since October 2001, the Taliban fighters have got maximum control over Afghanistan territories after 2017. According to the report, more than 2,200 American Troops have been killed in the Afghan war, in which Washington has spent over $40 Billion. The report has claimed that "The Afghan war has becoming more and more expensive and thus the United States is wasting Billions of dollars of money every year." After spending Billions of dollars in the Afghan war, To minimize the pressure from people of the United States, the U.S Administration is trying to convince its public that the Afghan Taliban are losing influence in Afghanistan. The report also said that the US military claims that the Afghan government has 'influence or control' on 56 percent of the country's area. On the other hand, the New York Times claims that the Afghan government only controls the district headquarters and the military bases in many districts, whereas the Taliban fighters are handling all the socio-economic functions.